TAMPA, Fla. – The United Soccer League announced today that every game of USL League One’s inaugural 2019 season will air internationally on YouTube. The live-streaming service will supplement the previously announced partnership with ESPN+ for streaming rights in the United States. The new United States Soccer Federation-sanctioned Division III league’s regular season kicks off this weekend and will conclude with its postseason in October. The 2019 League One season kicks off this Friday when South Georgia Tormenta FC plays host to Greenville Triumph SC at Erk Russell Park, the first of 140 games in the regular season schedule. Every game in the 2019 League One season will be produced by USL Productions, the league’s state-of-the-art broadcast production, broadcast and distribution facilities with VISTA Worldlink in south Florida. 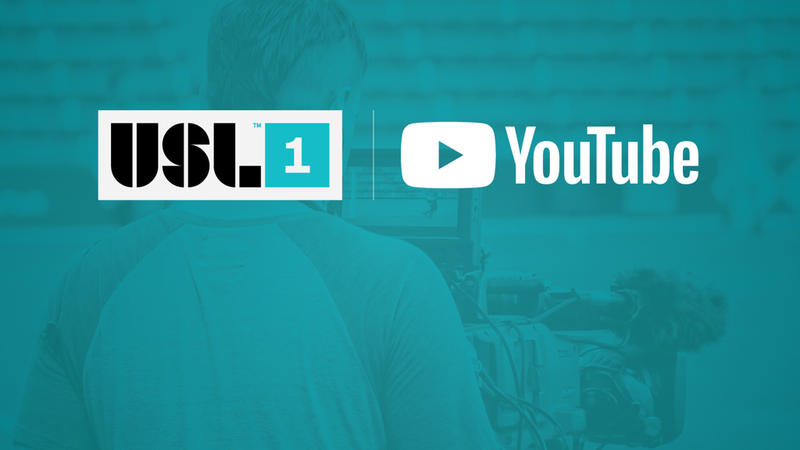 Click here to subscribe to USL League One's YouTube channel for access to live streams, highlights and more!